l-r, Rusty and Sarah Arnold, Sally and G. Watts Humphrey Jr., Jose Lezcano, and presenter Harlen Wheatley, Master Distiller. 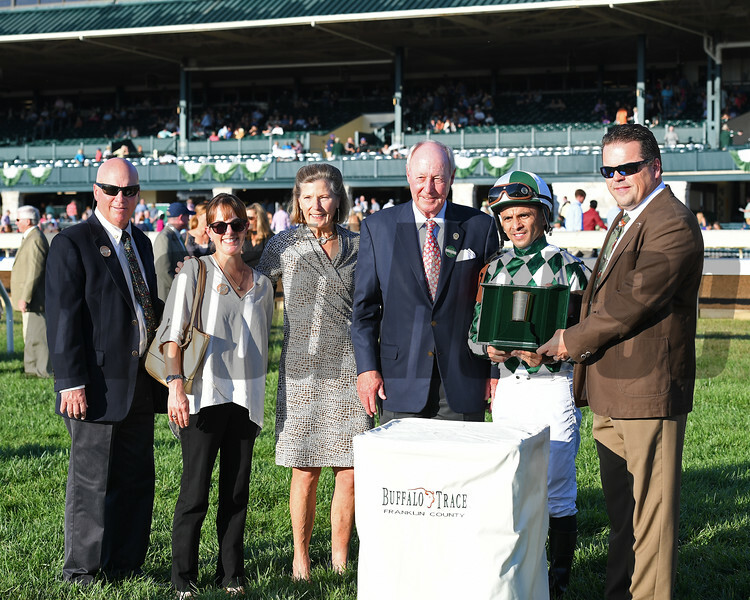 Morticia with Jose Lezcano wins the Buffalo Trace Franklin County (G3).Oct. 13, 2017 in Lexington, Kentucky.